Looking "where to sell my BMW 323i?" Ask the Chicago Car Club! Are you wondering "where to sell my BMW 323i ?" The Chicago Car Club is interested in classic cars of all makes and models, especially a BMW 323i. We make the process of selling your BMW 323i quick and painless. In just a matter of hours we will have your classic valued and, if you do so choose, turned into money in your pocket. All it takes is a phone call or electronic inquiry to get the ball rolling. 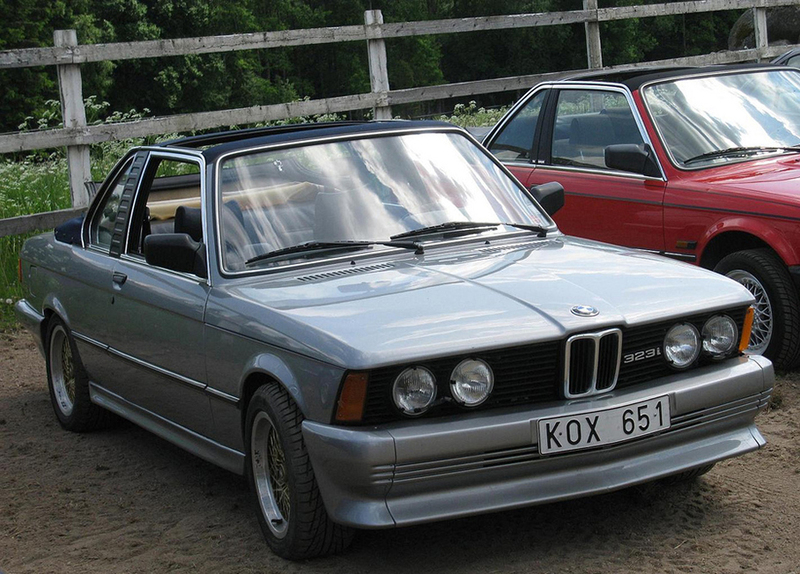 The BMW 323i was the top of the line of BMW’s E21 range, the first of what we now know as the 3-Series. The BMW 323i is a 2-door, 4 / 5 seat sedan manufactured in the late 70s and early 80s. The 323i was first designed by Paul Bracq, and was engineered with rear-wheel drive and a front positioned engine. The 323i was introduced as an upgrade to and higher performing version of the previous E21 models made by BMW, the 320 and the 320/6. The 323i was manufactured with an upgraded 2.3 L M20 injected engine, with 105 kW or 141 hp. This was a much more powerful and efficient engine and powerplant compared to the older E21 models produced. The engine in the 323i delivers its power through a 5-speed manual transmission that gives this classy beast a top speed of 200 km/hr, or 124 mph. The braking system was changed and upgraded as well. The 323i was manufactured with disc brakes on all wheels, a major upgrade at the time. This elegant model also gave buyers the option to include newer features as well, like a 5-speed close-ratio sport gearbox, 25% limited slip differential, and power steering. While the BMW 323i had a short lived manufacturing life, it was well received and to this day remains one of the most adored BMW sedans. The design was elegant and modern, while maintaining strong roots to the BMW look.